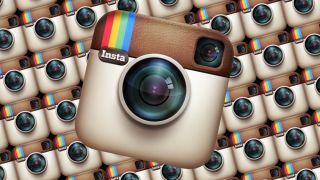 Instagram has rubbished reports claiming a quarter of its user base have abandoned the service. Figures from AppData painted a picture of a sharp drop-off in daily active users of the Facebook-owned photo sharing app over the festive period, down from 16.4m on December 18 to 12.4m on Christmas Day. The data prompted a sensationalist report in the New York Post in which an AppData spokesperson attributed the drop to the recent terms of service controversy causing users to abandon ship. However, Instagram has dismissed the report and the data. A spokesperson told Gizmodo: "This data is inaccurate. We continue to see strong and steady growth in both registered and active users of Instagram." AppData gains its stats by charting usage through Facebook Connect logins rather than Instagram logins, so it's difficult to take those figures at face value. Also, as The Next Web pointed out, most of the other popular Facebook-connected apps like Spotify, Farmville 2, Pinterest and Zoost also saw sharp drop offs over the festive period, according to AppData. There was no outrage surrounding terms of service or anything else for those products, so it seems AppData was wide of the mark, or Facebook made some background changes which affected the logging. Unfortunately for Facebook, the report caused its stock to drop half a per cent on Friday.